The Quadra Cat Rescue will be running the concession stand at the 3 performances of the play “The Groom” by the Quadra Youth Theatre at the Quadra Community Centre this weekend Mar. 6-8th. And will be receiving partial proceeds from the ticket sales. 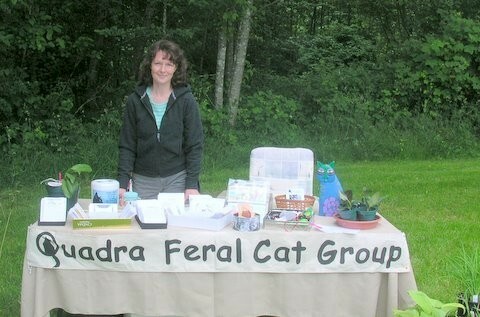 It’s a great opportunity for us to earn money for spay/neuter of cats on Quadra and Cortes Is. Please come and help support 2 great causes! Quadra Cat Rescue Penny Drive! 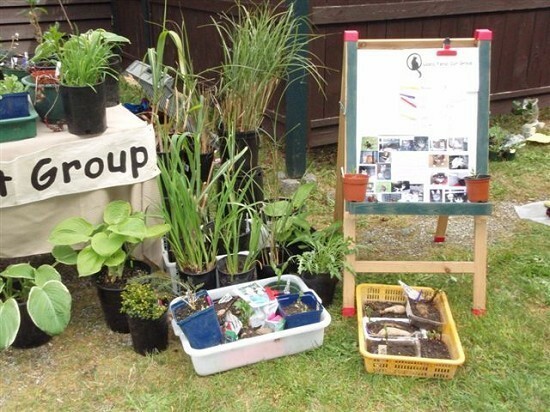 On Sunday, October 17th, the Quadra Feral Cat Group had their 2nd annual 'Catbaret' at the Community Centre. Many Quadra Islanders came out to enjoy the show that featured MacBeth, starring Neil Maffin, Cliff Mooney, Barb Lee, Julie Douglas and included many of Quadra's musicians, writers, comics and dancers. 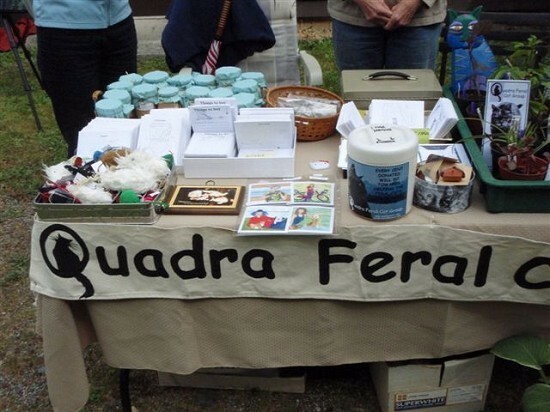 A good time was had by all and funds were raised so we can continue our work of getting feral cats spayed and neutered on Quadra! Thank you to everyone for your support. To view lots of photos of Catbarat 2010 please click HERE. Thank you to all for a great summer at the Farmer's Market this year! 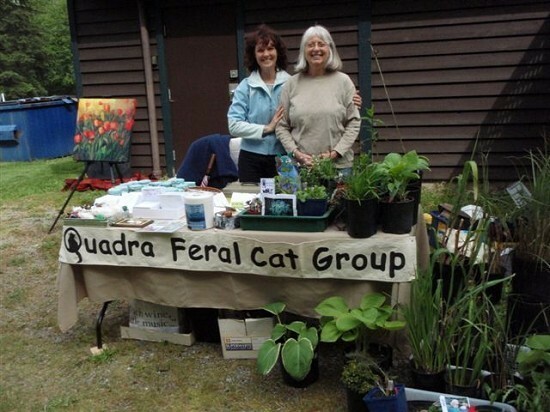 The Quadra Feral Cat Group raised enough money to spay/neuter 10 cats thanks to contributions from the Saturday markets and Canada Day float sales!